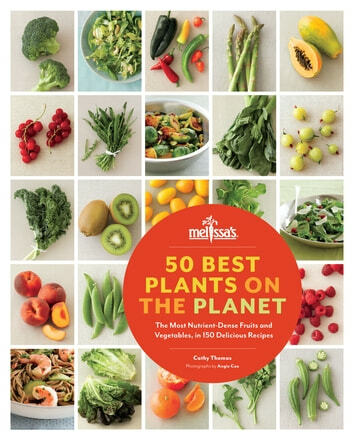 This encyclopedic guide to cooking the 50 most nutritious fruits and vegetables in the world comes from Melissa's Produce, the largest supplier of specialty produce in the United States. Cooks of all skill levels will love these 150 recipes for simple sides, breakfasts, dinners, and healthful desserts that make the most of fresh, accessible produce, from memory-boosting blackberries to antimicrobial chili peppers to vitamin A–rich watermelon. Featuring health and nutritional information, tips for buying and storage, quick recipe riffs, and gorgeous shots of finished dishes as well as photographs of individual fruits and vegetables, this impressive package is an indispensable resource for home cooks looking to put more fruits and vegetables on the table every day.